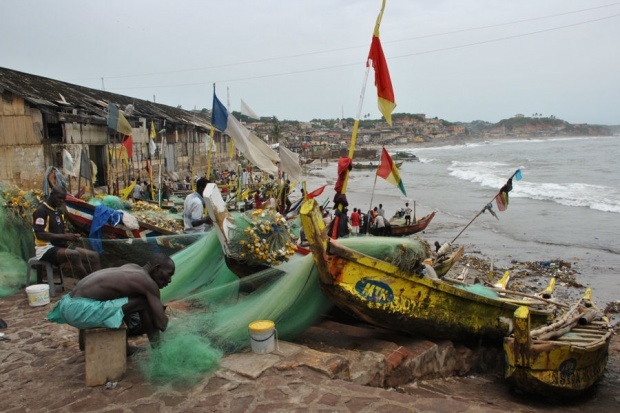 The Ghana Ports and Habours Authority (GPHA) has told Citi Business News works on Tema Fishing Harbour landing beach will be completed by December this year. The landing beach is being constructed into concrete net mending wharf to allow fisher folks undertake repair works of their nets. The late President John Evans Atta Mills in 2010, directed the Ghana Ports and Harbours Authority to source for funding to replace it with a concrete one. The project, estimated at a cost of US$5.7 million and funded by the GPHA, would be dedicated to the memory of the late President John Evans Atta Mills, Citi Business News has learnt. Speaking to Citi Business News Director-General of the GPHA, Mr. Richard Anamoo said when completed, fish could be handled properly on a clean concrete platform.